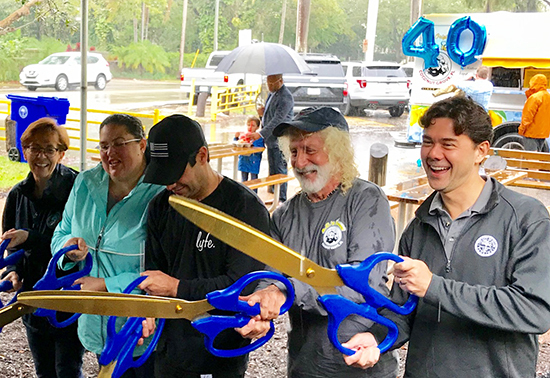 Saturday morning, amidst the raindrops, the public came out to Kennedy Park to celebrate A.C. Icee's 40th anniversary and to enjoy the ribbon cutting for the start of improvements for the park. 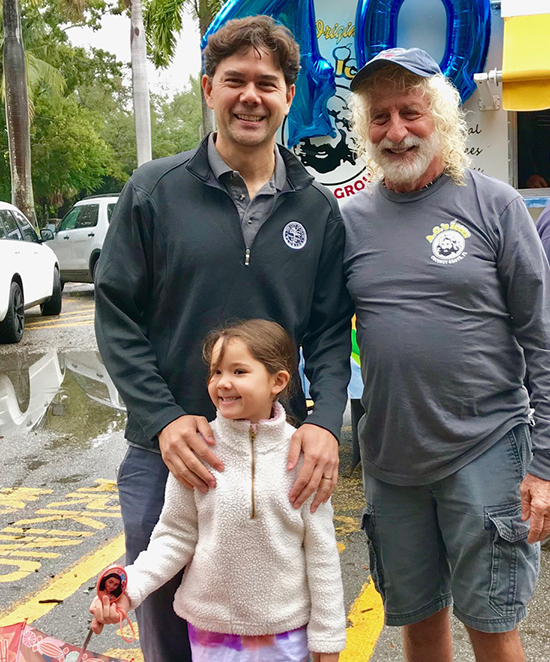 Above are District Commissioner Ken Russell and his daughter with Allen Cohen - A.C. himself. A. C. has been in the same location all these years. 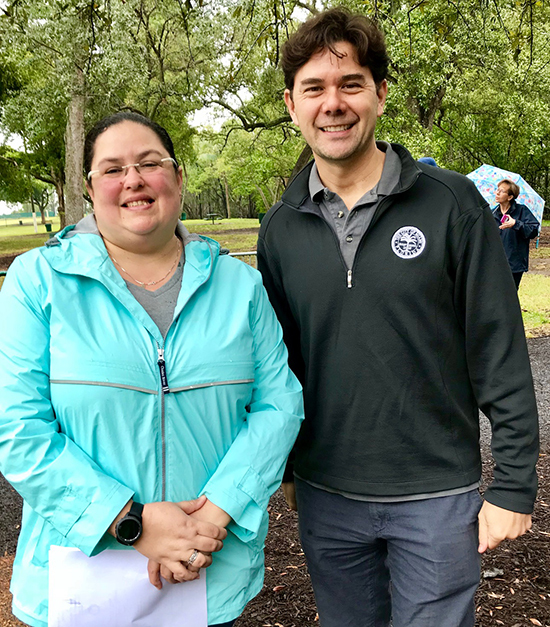 Lara De Souza-Hamwey is the new Director of Parks and Recreation for the City of Miami. Kevin Kerwin, the previous director moved out of the area. Lara is the first woman to be appointed Director of Parks and Recreation in the City of Miami in more than three decades. 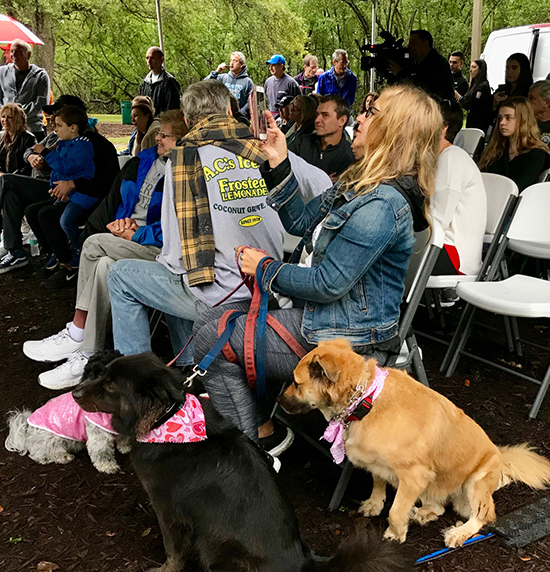 She has been a member of the City’s Parks and Recreation Department for the last fifteen years and has served as Deputy Director since 2013.
being repaired, and some of the exercise equipment that was damaged is being replaced. There are also pipeline repairs associated with the bathrooms. 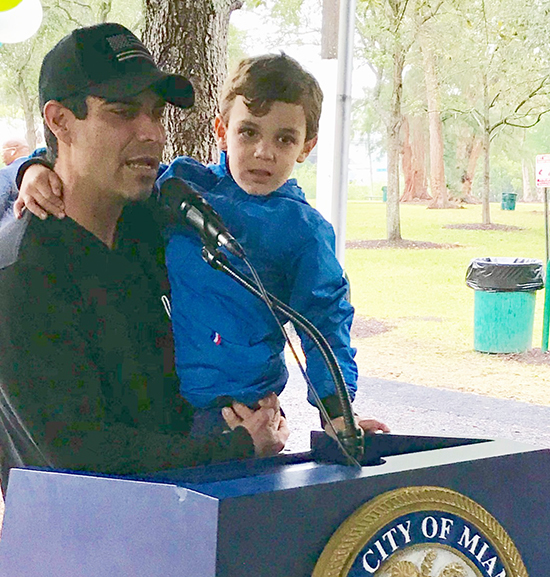 Mayor Francis Suarez and his son, address Saturday's spectators. 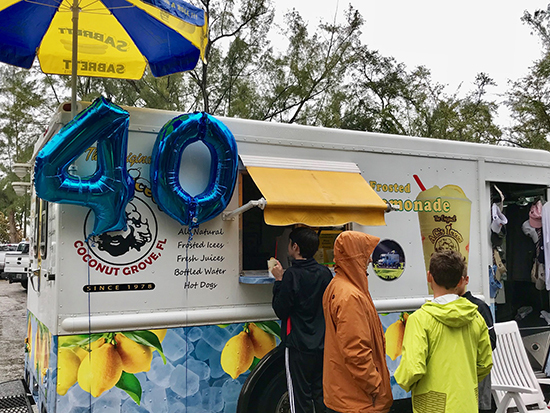 Under Lara's direction, the Miami Parks and Recreation Department was accredited for the very first time in 2011 by the National Parks and Recreation Association (NPRA) and achieved its subsequent accreditation renewal in 2016. As Deputy Director, she managed the annual budget of $47M and has overseen significant technological improvements for Parks and Recreation, including the implementation of an enterprise tool for asset management and work orders named Cartegraph. Photos by Harry E. Gottlieb. Subscribe to the Grapevine use this link here. I am looking forward to her leadership.